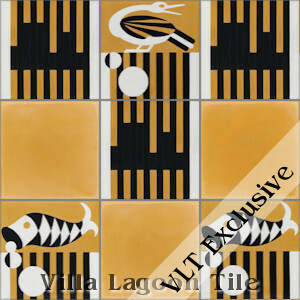 This is a VLT revival set of 3-color 8" cement tiles, using Black, White and Maple Sugar from the South Beach Palette. 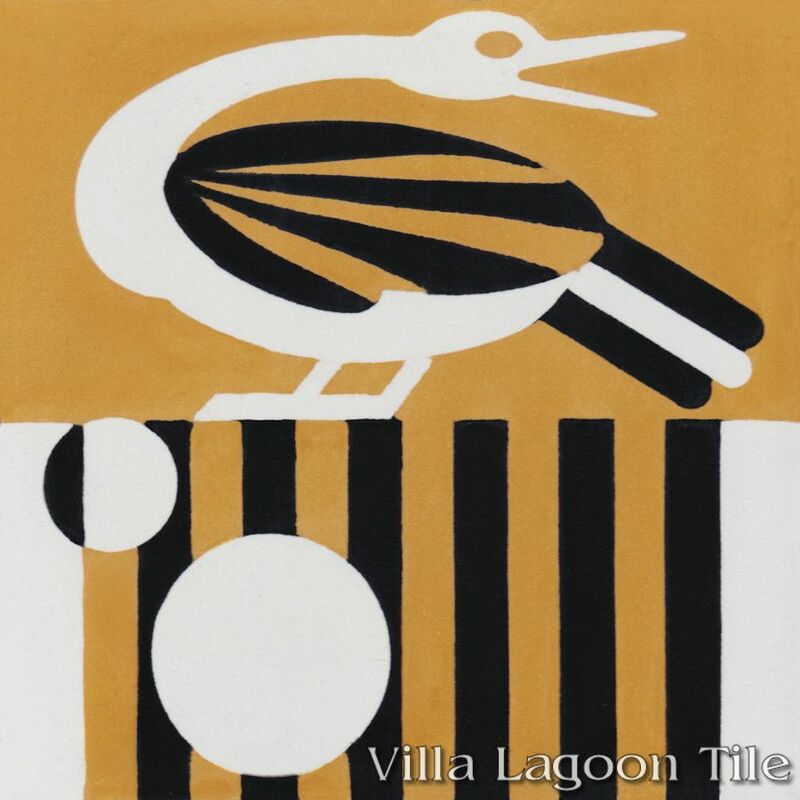 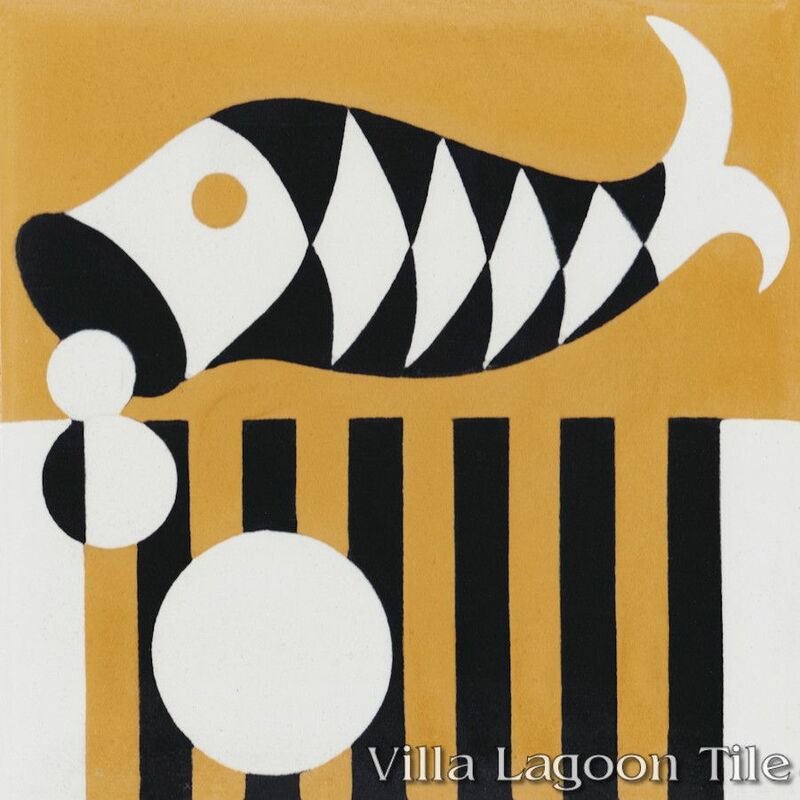 This Villa Lagoon Tile revival was inspired by the tiles of the Ernest Hemingway's home in Key West, Florida. We have admired the guest bathroom tile for quite a while. 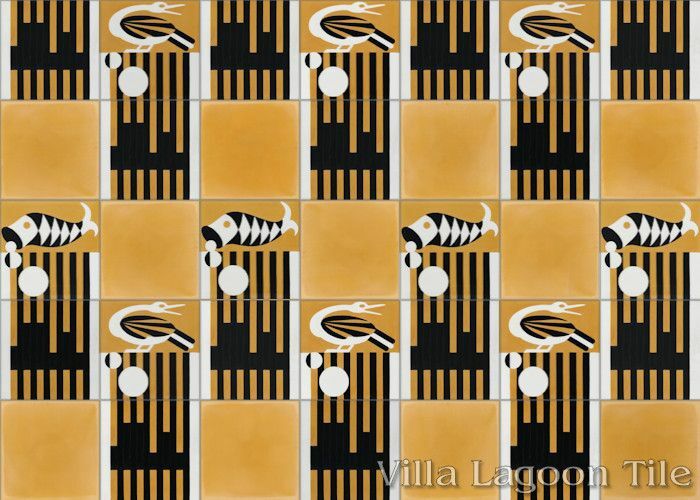 Little can be found of the origin of the tile, but when the 1850's house was purchased and rennovated in 1931 both the Art Deco style, and the production of Cuban Tiles were in full swing. 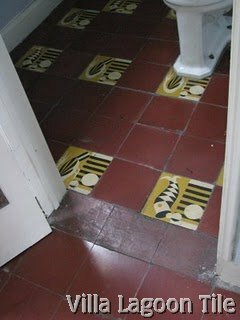 The floor, now about 85 years old, has aged beautifully. 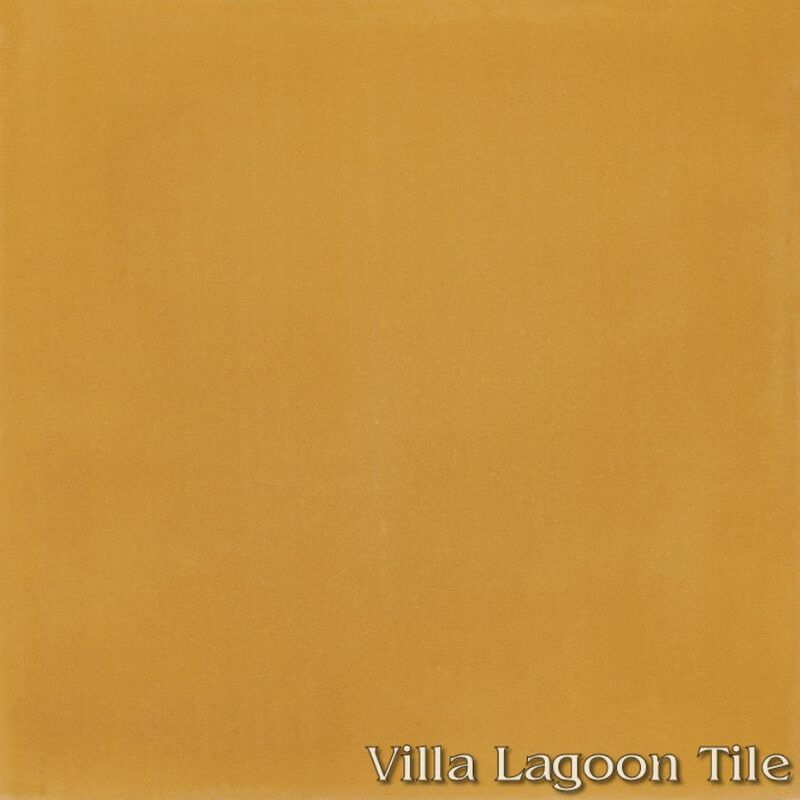 Our "Key West" mix features three patterns: "Key West Bird", "Key West Fish", and "Key West Skyline", sold in pre-mixed boxes with "Solid Maple Sugar" to produce the layout below. Unfortunately we cannot break the mix, but if you'd prefer a different ratio, or wish to use one or two of the patterns, we can produce any quantity or color as a custom production (50 square foot minimum). 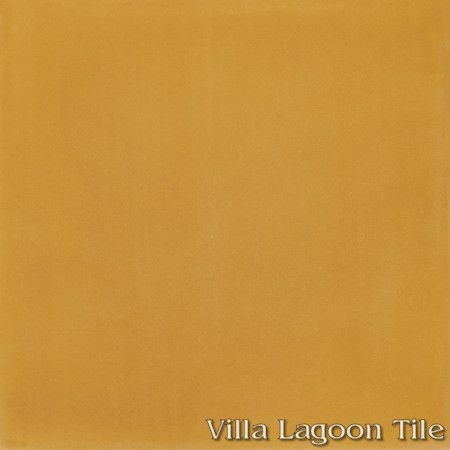 Alternate ratios or colors can be achived as custom orders. 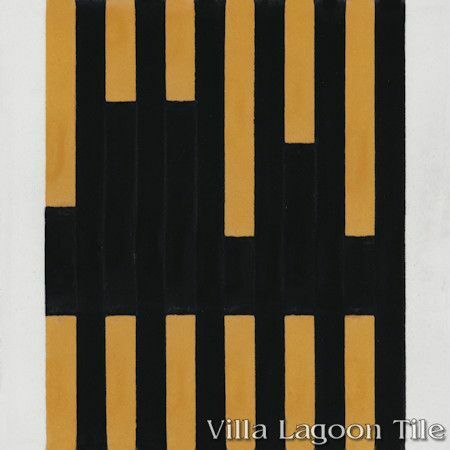 Minimum order 50 square feet, lead time about 10-14 weeks. 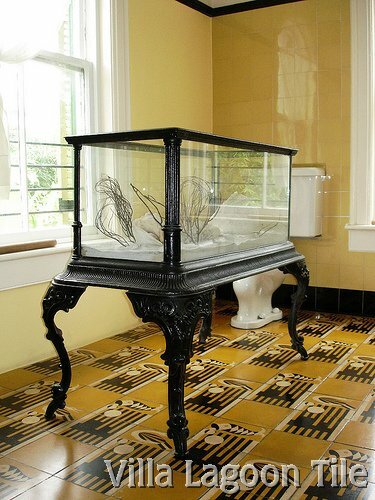 The Hemingway House now serves as a museum commemorating the life of the famous author and adventurer. These tiles can be found in the guest bath. 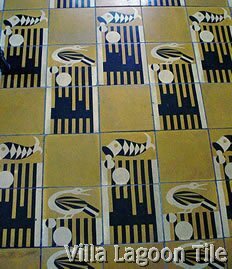 Extra pieces of the fish and bird patterns acccent this floor of solid color cement tiles in a brick red. 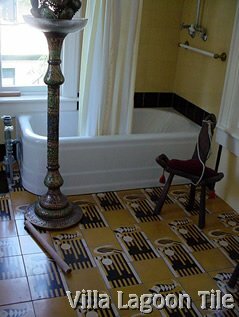 The red cement tile floor can also be seen in Hemingway's office.